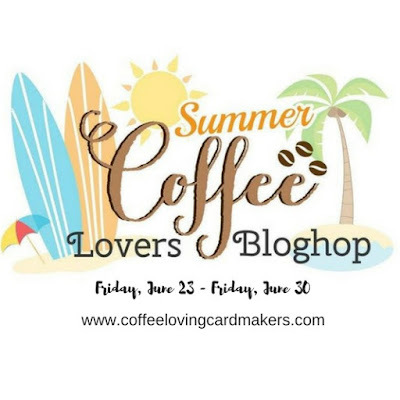 Have you been enjoying Coffee Lovers 2017 Summer Blog Hop? You still have time to play along with us untill today! And here is my another summer themed tea & coffee card. For background, I tore watercolor paper by hands and sponged distress inks with mini blending tool. I used Antique Linen, Tea Dye, Vintage Photo and Ground Espresso distress inks. I then stamped scribbled circles and sentiment with Versafine Vintage sepia and draw mini cup and stitches using distress marker. 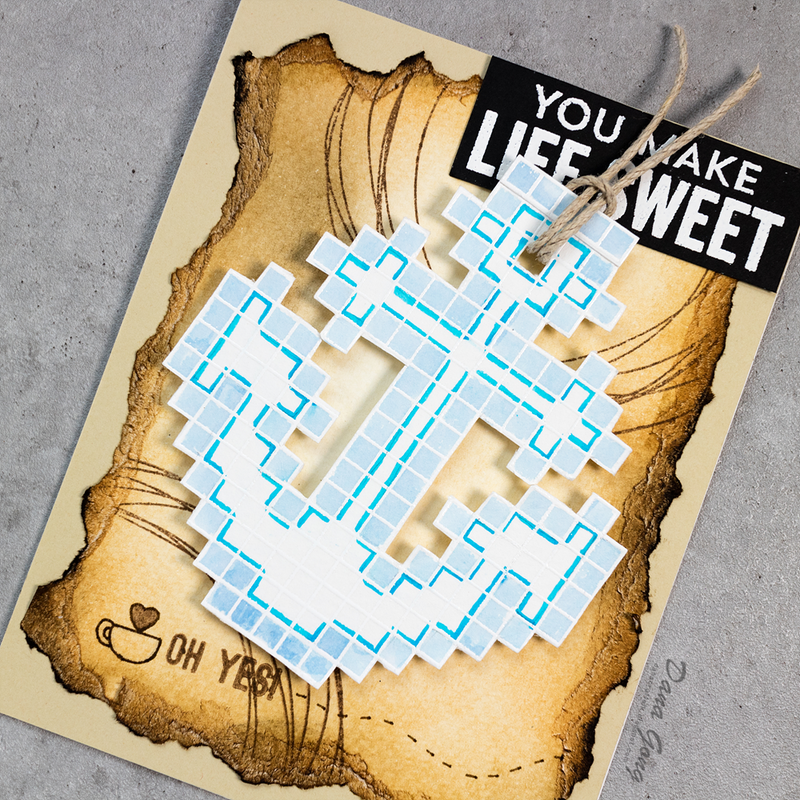 For anchor, I white heat embossed pixel stamp on bristol paper and draw lines and colored around edges with Zig Cleancolor Real brush markers. This card is also my take on Krumspring Summer Theme Cards. 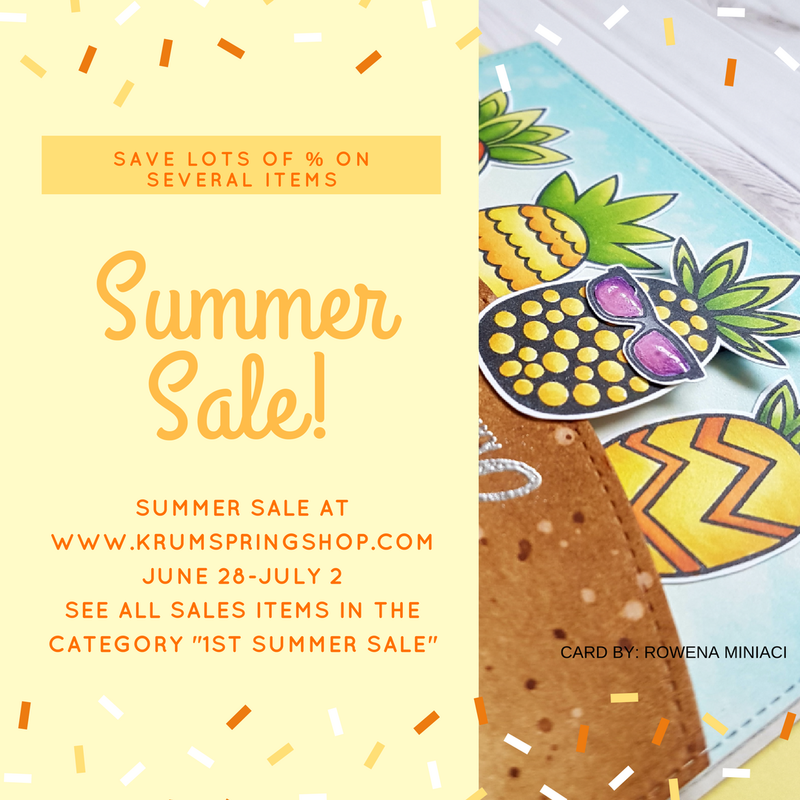 Krumsping stamps is Coffee Lovers 2017 Summer Blog Hop's sponsor! 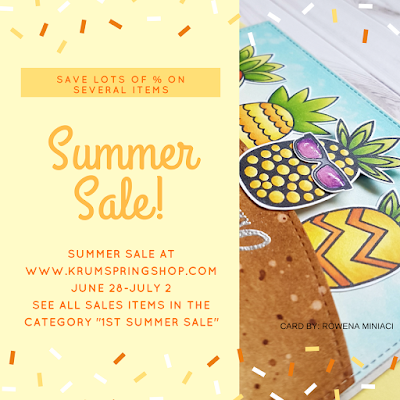 Hope you check out their summer sale info and other inspirations in HERE. Great design and I love that big anchor. Thank you so much for your lovely comment, Verna! Fun summer inspired coffee theme! This is so fun! 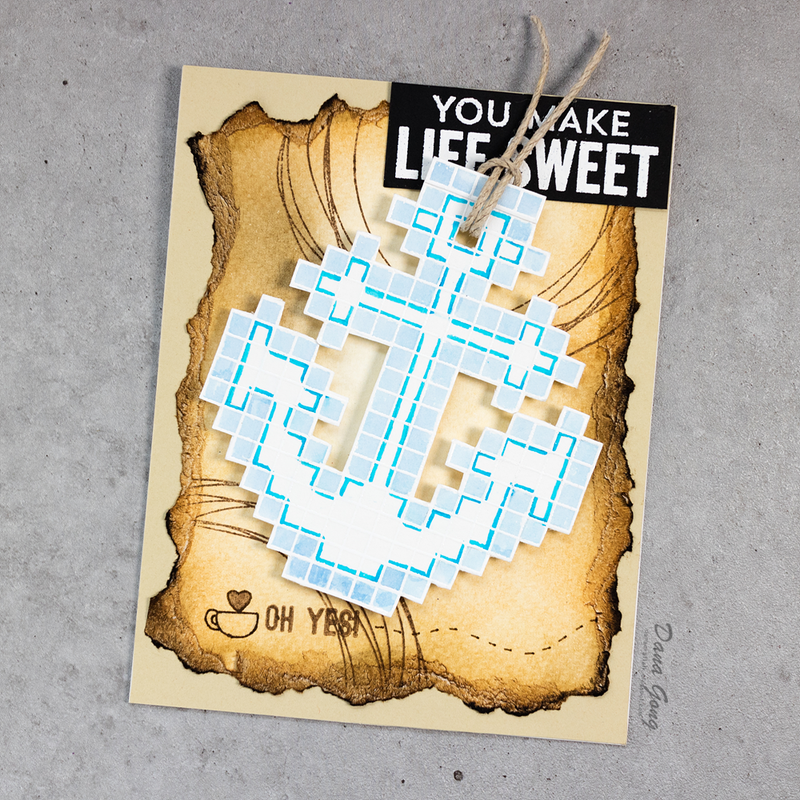 Love the nautical theme! OMG this is a great card! i love it.